There’s been much debate regarding star ratings and their importance to a business over the last few years. Despite where you stand on the matter, it’s near impossible to deny the criticality of existing on sites with star ratings, and having the reviews to gain star ratings on said sites. In today’s digital age where the internet seemingly rules over society, people are paying attention more than ever to what others are saying in the deepest, darkest corners of the web. Regardless of industry, if you have a business in 2017, you should pay mind to online reputation management; which plays heavily into star ratings. As you can imagine, most purchases and investments start with a search of some sort. With 3.5 billion searches being conducted daily, you want to make sure that those who are searching for what you’re selling can find you with ease. When it comes to Google, the more they trust your business, the higher your business will rank on a Google search. But how does one acquire such trust? Simple: through the power of reviews. The better the reviews of your business are online, the higher Google will rank your site on a Google search. This is set in place in efforts to help the consumer, as Google is a major advocate for user experience. Therefore, if you have links that are confusing and indirect, the system may not pick up on them; putting your page on the backburner — better known as page two of a search. By being readily available and accessible on the web, you’re allowing the appropriate clientele to not only easily access your site, but to also expedite the decision-making process. If your target customers are able to find your site and your business on third-party review sites within the first page of a Google search, then they’re even more likely to click on your page and invest. 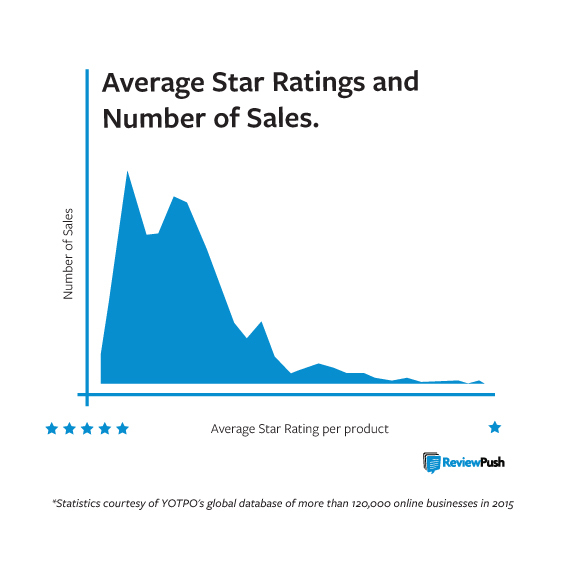 In addition, more often than not, people will click on a business with a 5-star rating over one without a 5-star rating; especially over those with no ratings at all. Reviews not only help grant validity to your business, but they also make a huge impact on conversion rates. 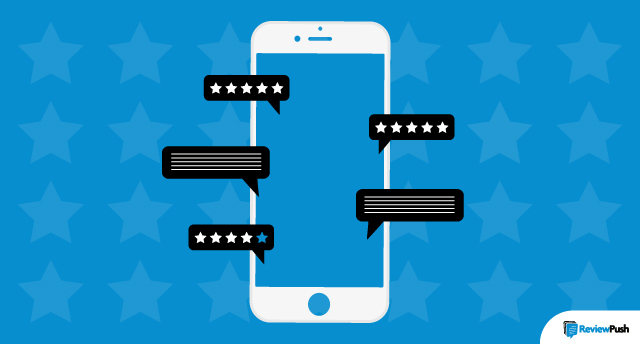 The instant familiarity that consumers have with the 5-star rating system means that potential customers are able to see what others think of your company at a glance. Though people might have different interpretations of the 5-star scale, having star ratings not only helps you stand out amongst your competition, but also aids in the decision-making process for consumers. The more stars you have by your business name, the more sales you’ll likely get. 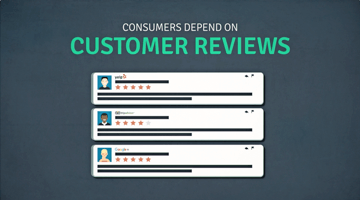 A study done by Cornell University found that consumers are likely to spend 3% more on a business with good reviews. The higher the star rating, the higher the conversion rate; yet only 36% of small businesses are investing in review marketing. This leads to being nearly invisible on the internet, thus losing out to your competition that appears on the first page of a Google search. A common misconception in regards to star ratings is that not having a perfect 5-star rating will put a damper on your business. Though it’s best to be on the hefty side of reviews, it’s not business-shattering to fall shy of a 5-star rating. The reality of the situation is that consumers have grown weary of a perfect 5-star rating. When a consumer sees a 5-star rating, they typically think one of two things: a. )this business has no reviews or b.) their own employees are leaving raving reviews to give them a 5-star rating. Is it possible for a business to have a solid 5 star rating of their own? Of course! There are a plethora of businesses out there who genuinely have valid 5-star ratings that have the context within the reviews to back them up. However, for the majority of times, this isn’t the case, and consumers are wary of a perfect score. If you’re looking at your star ratings on any given site, like Google for instance, and you see a rating of 4.8; congratulations! This isn’t something to fret over or frown about, it’s something to celebrate. Though your business isn’t perfect, you’re acquiring feedback from your most valuable and honest resource: the customers. Receiving feedback regarding genuine concerns from patrons isn’t a shot in the foot for your company’s reputation; it’s actually a chance to clear the air and create a longtime fan of your business if handled the appropriate way. If you receive poor reviews, your next steps are crucial in maintaining your business’s online reputation. If you ignore them, you run the risk of coming off as uncompassionate, paying little mind to resolving current issues. When you receive reviews that are less-than-admirable; simply address the complaint or concern directly and try to resolve them in a positive manner. In the world of online reputation management, you need to ensure you’re raking in reviews of all kinds, as they go into the average star rating for your business. As previously mentioned, the number of reviews your company has, the higher ratings you’ll receive through avenues like Google which are built thoroughly upon trust. A higher number of reviews shows Google and other algorithms that you have a reputable business, and that it’s worth showcasing to the world. Companies with the most reviews tend to have the highest ratings. 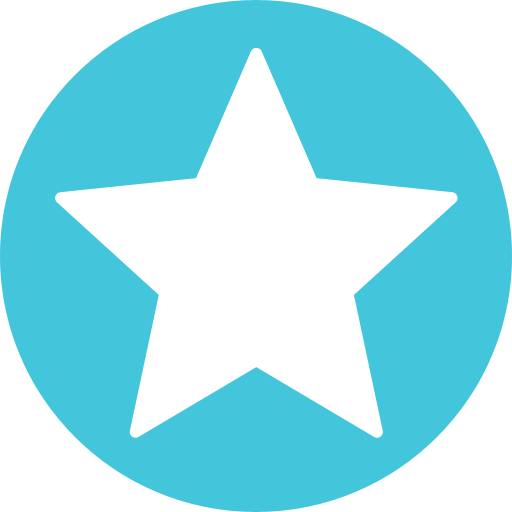 With brand monitoring tools like those offered by ReviewPush, your business can stay on top of it’s reputation and tackle any problematic issues firsthand. A major key to managing your business’s online reputation is being accessible online on various third-party review platforms. This ensures that you’re on the radar and being picked up by search engines like Google and Bing. It’s also best practice to share your business’s reviews on your website. Embedding review feeds of your social channels leads to higher conversion rates. On top of higher conversion rates, Cornell University found that consumers are likely to spend 3% more on a business with good reviews. The same study also found that 92% of consumers will use a local business over outside competition if it has a 4-star rating or higher. As for 2017, Google and Yelp seem to be the dominators of the third-party review world. Though the most important review platforms for your specific business varies by industry, there’s no getting around the force of these two establishments. With Google being the largest search engine in the world, it’d be wise to pay a close mind to where your company lands on a Google search. When someone Googles your business, regardless of where you appear page-wise, the business listing for your company will pop up in the side panel of the first page; displaying your star rating. You’ll want numerous reviews from a variety of consumers to be widely accessible and known, thus boosting your overall star rating on Google. For Yelp, stars matter just as much for business as they do for maintaining your online reputation. For instance, if you increase your overall star rating by 1 star on Yelp, your revenue can increase by 5-9%. Overall, if you’re not paying attention to your online presence and your business’s visibility on third party review sites, you’re not paying attention to the growth, development or success of your company. Start putting your company’s reputation into your own hands with online reputation management tools through ReviewPush. Starting is free and easy; how can we help you manage your reputation today?